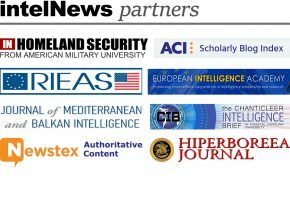 Since 2008, when we launched intelNews, it has been our end-of-year tradition to take a look back and highlight what we see as the most important intelligence-related stories of the past 12 months. In anticipation of what 2018 may bring in this highly volatile field, we give you our selection of the top spy stories of 2017. They are listed below in reverse order of significance. This is part one in a three-part series; parts two and three will be posted on Tuesday and Wednesday of this week. 10. Saudis, Israelis, are illegally funding a CIA-backed warlord in Libya. The strongest faction in the ongoing Libyan Civil War is the eastern-based Tobruk-led Government, which is affiliated with the Libyan National Army (LNA). The commander of the LNA is Field Marshal Khalifa Haftar, an old adversary of Colonel Gaddafi, who lived in the United States under CIA protection for several decades before returning to Libya in 2011 to launch his military campaign. American legal experts, including a former special counsel to the United States Department of Defense and a Harvard University law professor, accuse Haftar of ordering his troops to commit war crimes. But there is much evidence to suggest that Israeli, Saudi and Emirati intelligence agencies are illegally breaking a United Nations-imposed arms embargo on Libya and arming Haftar with advanced weaponry. 09. Why are American, Canadian diplomats in Havana going deaf? In 2015, relations between Cuba and the United States experienced an unprecedented rekindling, which culminated with the reopening of the US embassy in Havana after more than half a century. But in the past year, US authorities became enraged with the Cuban government after American diplomats reportedly suffered hearing loss and brain trauma as a result of a mysterious so-called “covert sonic weapon” that was directed against the American embassy. The US State Department blamed Cuba for the incident, but some believe that the alleged device may have been deployed by an intelligence service of a third country —possibly Russia— without the knowledge of the Cuban authorities. In October, the White House expelled 15 Cuban diplomats from the US in response to the incident. But the question of what harmed the health of at least 20 employees at the US embassy in Havana remains largely unanswered. 08. Role of spies in German-Swiss economic war revealed. In the wake of the Panama and Paradise leaks, offshore tax havens have faced intensifying worldwide calls for the introduction of transparency and accountability safeguards. Predictably, they are resisting. In April of 2017, German authorities announced the arrest of an employee of the Swiss Federal Intelligence Service (NDB) in Frankfurt. It appears that the Swiss man, identified only as Daniel M., was monitoring the activities of German tax-fraud investigators who have been trying for years to prevent German citizens from having secret bank accounts abroad. It is believed that he was arrested while monitoring German efforts to approach potential whistleblowers working in the Swiss banking sector. A few months after Daniel M.’s arrest, Germany announced an unprecedented investigation into three more officers of the NDB, on suspicion that they spied on German tax investigators who were probing the activities of Swiss banks. This is part one in a three-part series. Part two is available here. Part three is available here.